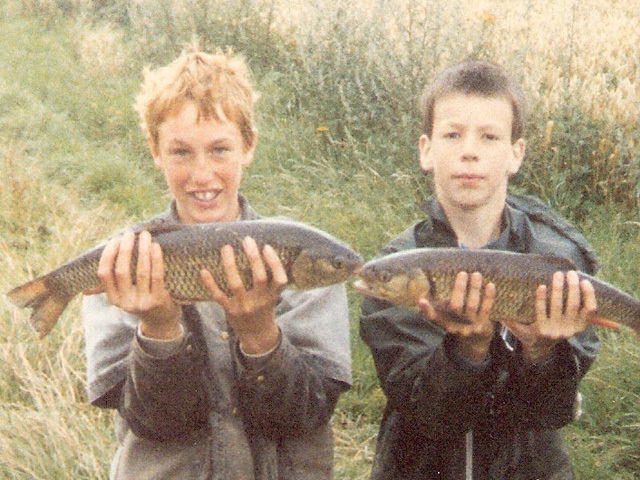 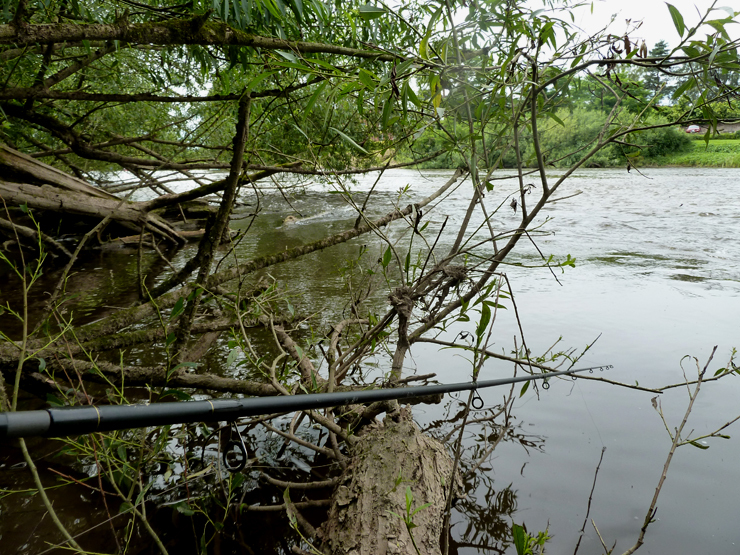 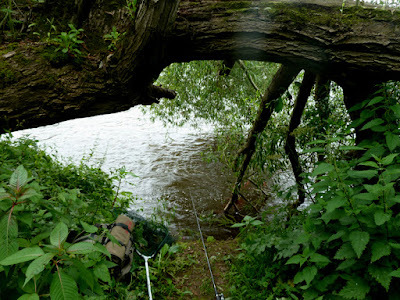 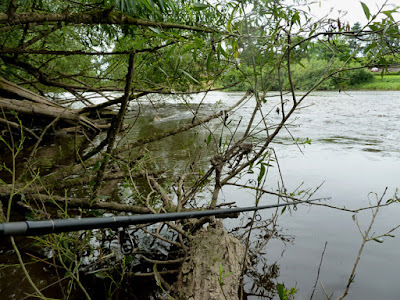 Jungle Warfare: Most of the Wye is accessible via farmland or manicured parks but today I went fishing with my mate from school Steve, and we headed for the island! The target was chub and the bait was lowered into the little gabs between trees and rocks for some real hit-and-hold fishing. The chub we ravenous and we soon lost count of how many we caught, no monsters but mostly between two and three pound. 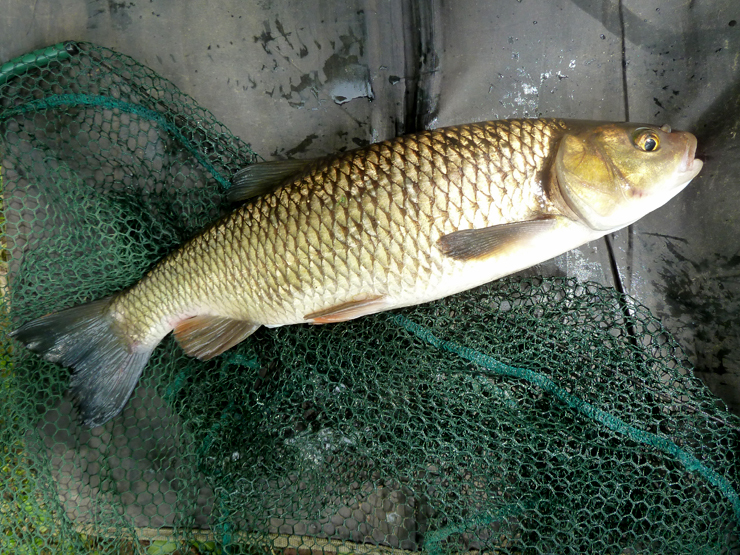 A great morning's fishing. 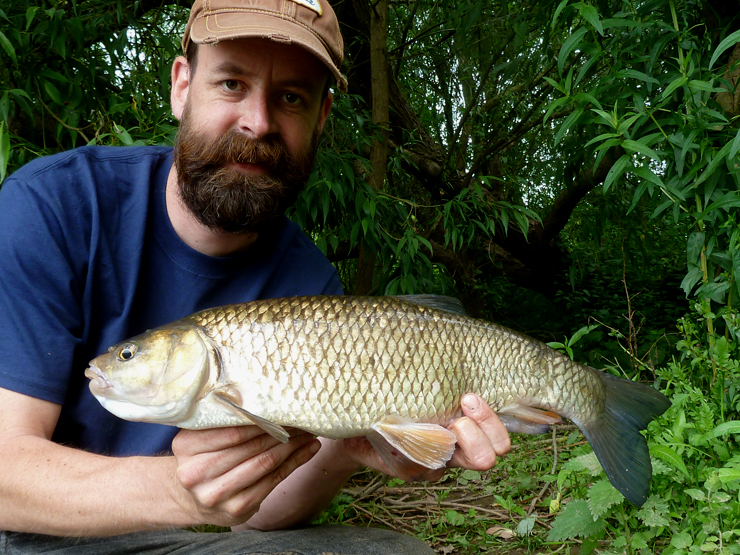 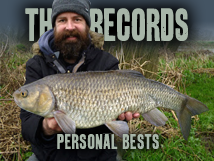 In the afternoon we moved to some shallow gravels in search of a barbel, Steve taking the honours with a barbel about 4lb - and we had plenty more chub - just like the old days!